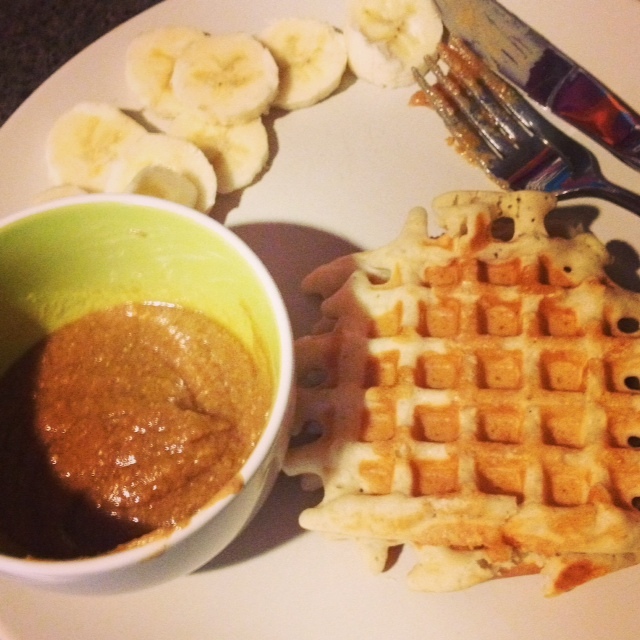 There are times when it is difficult to avoid the foods/food categories that trigger my IBS. This past week, it seemed that everything I ate had garlic in it, and there was no way to remove it. I’m still learning how to accommodate for these things. As mentioned last week, I (not-so)secretly hate that I can’t eat what I want, when I want. And I’m very jealous of those who can. I need to chant “It’s for your health!” over and over again. FODMAP requires a lot of planning. Breakfast isn’t too difficult for me, but lunch and dinner are a challenge. If I don’t plan out my meals the day before, then I”m usually scrambling to make something, or find something that is “mostly” low FODMAP. And that’s how I ended up eating so much garlic this past week! Already, I was recovering from having gluten, and then I ate garlic, too! That is a much quicker recovery, but can be unpleasant. I take horrible pictures, I know. Maybe I’ll splurge and buy a camera. Also, maple syrup-peanut butter sauce? Easiest thing ever. Combine desired amount of maple syrup and peanut butter (I use natural peanut butter) in a microwave safe bowl. Nuke it for 20-30 seconds. Stir, and pour. Next highlight: Gluten free, grain free Hazelnut Brownies! Adapted from this recipe by Everyday Maven, these were easy to make, and they’re AWESOME. I must have had half the pan between Saturday and Sunday. Crunchy on the outside, gooey on the inside, which rich chocolate flavor and a hazelnutty crunch…they are perfect. I don’t feel like I’m missing out on anything with these! 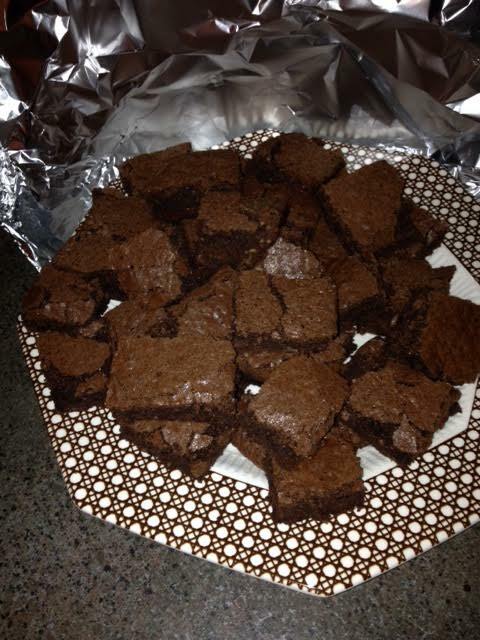 In fact, I think these taste better than gluten brownies! Just a sidenote: I omitted adding additional nuts because I did not have any. Had I had more, they would’ve been there! For original recipe, click here! 11. Try not to eat them all! Again, I did not make meatballs, but that is my goal this week! Also, I’m going to try to refrain from eating “whatever, I”ll just have this because they don’t have anything low FODMAP”. No, no, no. There is always something I can make, or adapt, so NO EXCUSES! Eat good, feel good! Pingback: Potatoes: Changing your life, one meal at a time | My Food and My Mood: Am I What I Eat?